Let your child choose the books she wants to read (as long as they’re age-appropriate and are written at the just right level of difficulty). Support his reading experience by talking about the books and helping him understand and interpret what he reads. Read aloud to your child, even if he can read on his own. It helps build vocabulary and listening comprehension skills. As you’re reading aloud, be sure to interact with your child by asking what she thinks might happen next, what a certain character is likely to do, whether the story is real or make-believe, and so forth. Ask her what she thinks the next chapter will be about and depending on her age, ask her to write about it. If you are more comfortable reading to your child in a language other than English, by all means do so. What your child learns in his or her native language will help create a bridge to learning English. 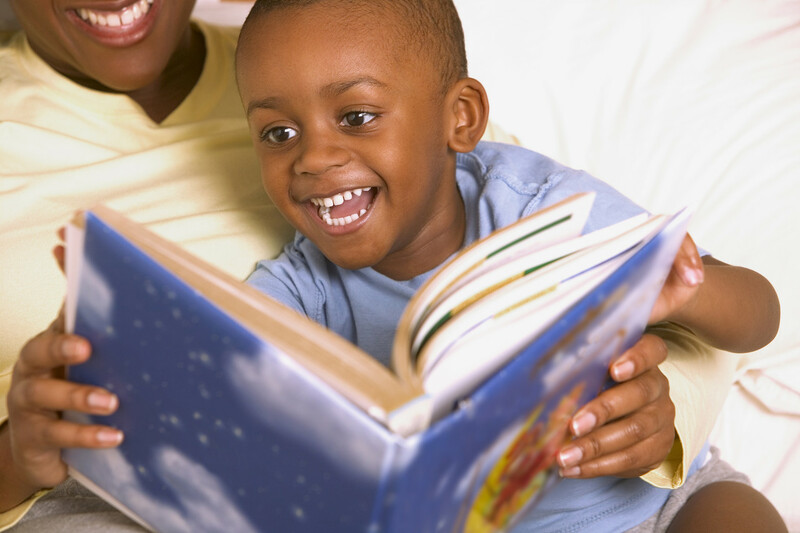 Encourage your child to participate in a summer reading program. Many libraries host them. Some bookstores do, too. Many programs offer fun incentives to keep kids progressing (i.e. ice cream coupons, tickets to a ball game, etc.) You might also consider the PBS KIDS Reading Challenges which runs throughout the summer months. In addition to reading books, children can practice their reading skills by engaging in many different online reading experiences. Literacy-building sites such as PBS KIDS Island for children ages 3-5, and the Great Word Quest for ages 6-8 (both of which are free) are great examples. Do you have ideas and techniques that work well? I’d like to hear about them. Enjoy your summertime reading adventures! Wanda J. Montgomery is President of the Black Child Development Institute – Milwaukee Affiliate and a WECA Board Member. She is also Director of Community Partnerships at Children’s Hospital of Wisconsin. Her favorite place to read is in the comfort of her family room. This entry was posted in Uncategorized and tagged achievement gap, Black Child Development Institute, early learning, PBS Kids, Reach Out and Read, reading, Wanda Montgomery. Bookmark the permalink.